This year’s Czech plum (švestka) harvest was particularly robust according to distiller Rudolf Jelínek, maker of the traditional plum brandy, slivovice—in fact, the company says it will harvest 320 tons of plums in 2017, doubling last year’s crop. 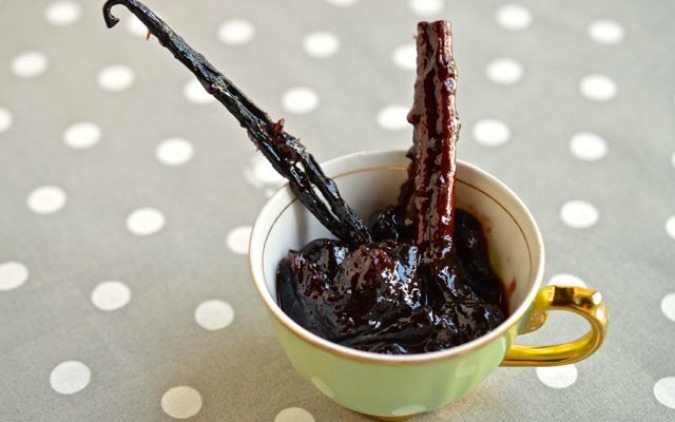 What to do with a surplus of plums whether it’s from the market or your own trees? Make povidla, of course! 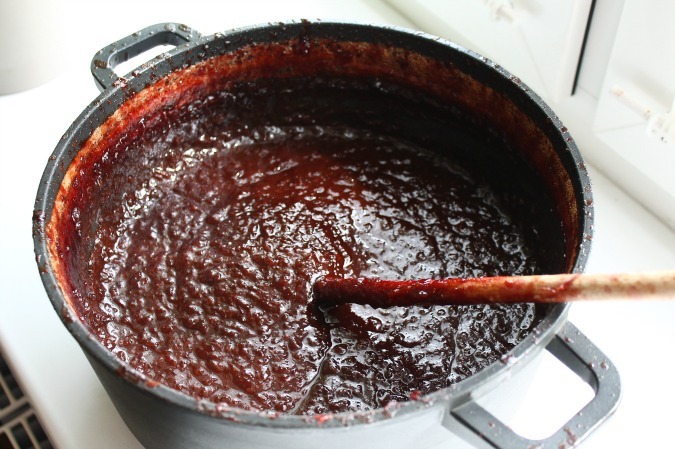 Povidla is a traditional Czech sauce that is used as a filling for desserts like koláč or buchty, in sweet dumplings or eaten plain on toast; unlike marmalade or jam it is typically produced without sugar, reduced down to a dark sticky spread that is naturally sweetened by its own sugar content. Preheat the oven to 170 °C. 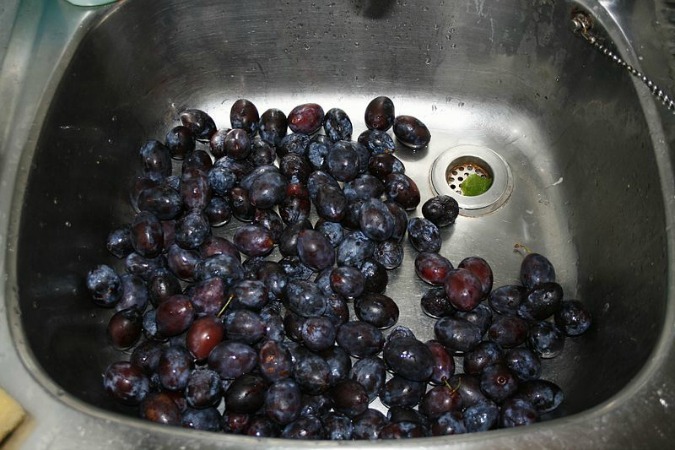 Wash plums, remove the pits, and place in a large roasting pan with a lid. (Feel free to really fill up the pan!). Sprinkle with sugar, spices, salt, and zest. Slice the vanilla pod and scrape out the pith. Add the pulp and husk to the fruit. Drizzle over vinegar and rum. Roast for five hours. Remove the vanilla pod and cinnamon stick before transferring povidla to sterilized jars. Seal the jars and turn upside down for a few minutes then return to upright position. Tip: You can buy preserving jars and supplies at most Czech grocery stores in the baking aisle or order them online here.